The good folks at Twin Lakes Records don’t drop new material very often, but when they do, you should pay attention. This peculiar new EP from SOURCE OF YELLOW is the latest to come from the Connecticut based label. Hailing from Brooklyn, NY, this wild trio comes baring a challenging sound on their new EP – they meld together an array of electronics and musical influences to create something truly unique that clearly requires some serious talent. When it’s all said and done, the seventeen minutes that make up this EP speaks volume for the band, suggesting what is probably a surreal live performance to go along with their visionary status. As all of the elements that make up opening track “The Said” start to fall into place, we find ourselves in an increasingly primal and unrelenting atmosphere. A compelling sense of urgency opens up the track, leading us into crunchy guitar distortion and tom-heavy drumming that pushes the song until it pops off about halfway through, re-exposing that frantic vibe from the beginning. The bass offers a colorful swell deep below the ruthless action, allowing for this manic instrumentation to take firm grasp toward the end for an immersive sound – scratchy guitar textures and reverberating basses call the shots as the track rounds out, helping seal up one remarkable song. “1 & 9” follows next and begins with a strung-out guitar haze, making for a much lighter and calmer approach this time around. It slowly but surely begins to pick up some weight with bass drum thuds and soft cymbal hits behind the gently lulling acoustic guitars. The track begins to stumble with some swirling sci-fi electronics, assisting in the tracks unexpectedly haunting finish to wrap it all up. The EP ends with “Maybe!” which gives us one last look into this bizarre amalgamation of sounds. The track doesn’t seem to follow much of a pattern, showing off snappy jazz flutes, walking bass lines and wailing vocal howls against the murky, buzzing backdrop. That perpetual buzz in the background helps swallow the track whole, combining those fluttering flutes and some saxophone into a noisy finale to wrap it all up. In the end, this music is rich with detail and highly characteristic, and honestly the only problem one might encounter is the overall accessibility of the sound. But there’s still no denying that this stuff is truly a force, so give it a shot below. In other related Source of Yellow news, the guys at Twin Lakes Records just repressed their debut LP (limited to 200), so go check it out right now! 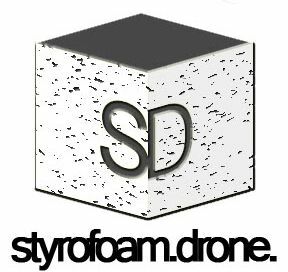 Posted on October 16, 2012 October 20, 2012 by styrofoamdronePosted in EP, ReviewsTagged experimental, improv, psychedelic.